A more super super-eruption: Were Neanderthals driven out? 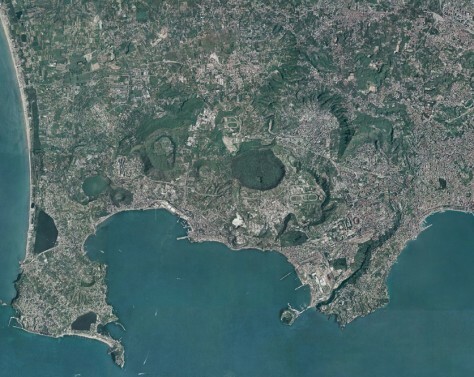 Aerial photograph of the Campi Flegrei caldera. The structure, formed during the Campanian Ignimbrite super-eruption, lies west of the city of Naples, Italy.